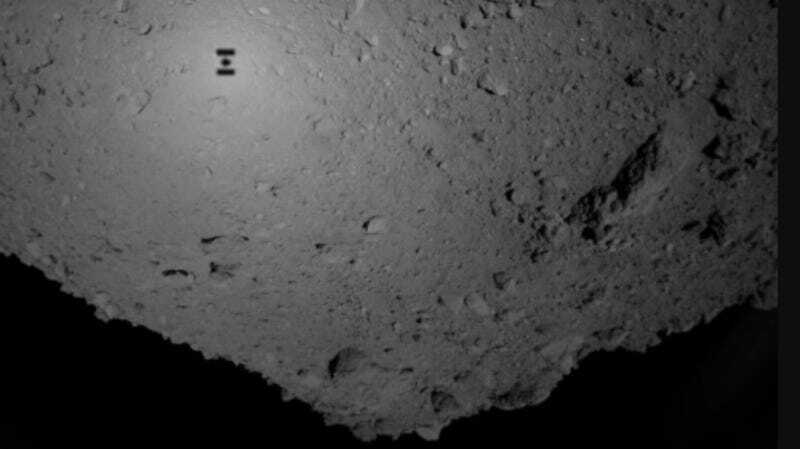 Hayabusa2 flying over the asteroid Ryugu on September 21st, 2018; its shadow can clearly be seen on the object’s surface in the upper left corner of the image. “I felt awed by what we had achieved in Japan. This is just a real charm of deep space exploration,” JAXA spokesperson Takashi Kubota told reporters, according to CNN. While Hayabusa2 is expected to return to Earth by the end of the year 2020, CNN wrote the U.S.’ own similar asteroid-sampling mission is not expected to be completed until 2023.